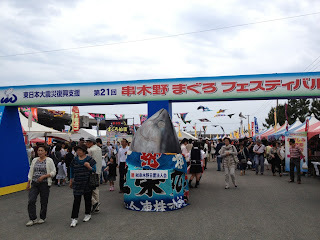 As is tradition here on Rambling Rican, I'm writing about the Maguro Festival again! I've mentioned I'd be doing this in a few blog posts already and this year didn't disappoint with the amount of photos I was able to get within just a day or two! 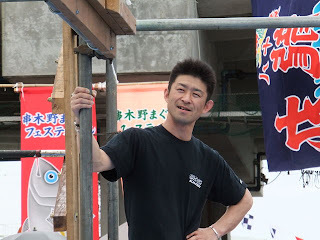 For those who aren't familiar with this at all, the 21st Annual Maguro Festival 第21回串木野まぐろフェスティバル took place in Kagoshima Prefecture on Sunday, April 29 and Monday April 30, 2012 in the city of Ichiki-Kushikino. This of course happens during Golden Week in Japan. This is a local Tuna event for the port city of Kushikino. It's pretty much a county fair including games for kids, music, food and other activities for the whole family. 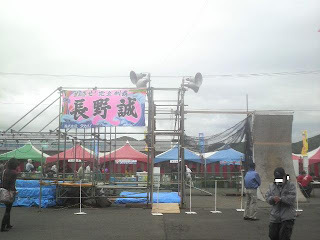 The past few years the company Nagano works for, Takasui Corp. has participated in the event (since they also use this fishing port) and they have Nagano design and build a Sasuke set where he could demonstrate his skills along with a few of his friends to the local crowd. More information can be found at the city website. The first year I knew of it's existence was during the Sasuke Mania days. 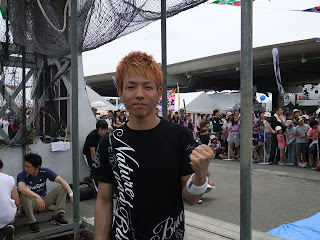 My first blog on the event was part of the now defunct Sasuke Maniac episodes that ran during May, 2008. They ran 2 episodes on the festival alone. (Part 1 and Part 2) The following year 2009 was a lot quieter as Sasuke Maniac had gone off the air. Thanks to Ube I was able to get photos of the event. We did however get video for the first time on Youtube of their individual runs. In 2010 we had less pictures but another set of Youtube videos. In 2011 we had more photos than usual but less video. This year we were expecting some Sasuke All-stars. This photo above mentioned the 4 expected. All-Star Makoto Nagano 長野誠 (who is the host of this Sasuke event as it's course is sponsored by the company he works for, All-Star Kazuhiko Akiyama 秋山和彦, All-Star Shingo Yamamoto 山本進悟, and All-Star Toshihiro Takeda 竹田敏浩. A couple of days before the event though we came to find out that Shingo was unable to attend at the last minute. Obviously since the posters were printed well in advance of the event it could not be altered. 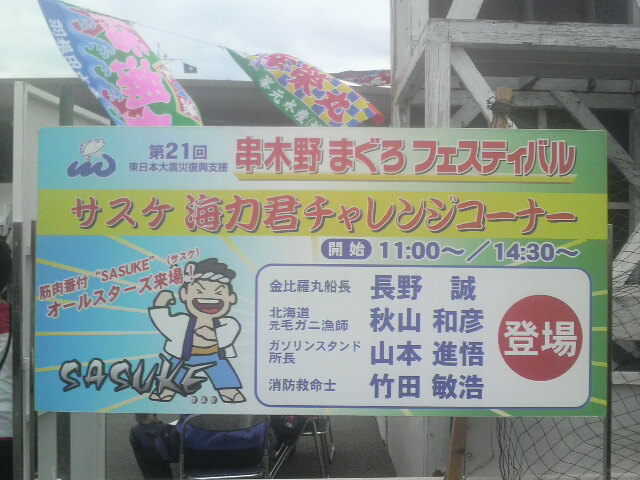 Never in the history of the Maguro Festival have all 6 Sasuke All-Stars been in this event in Kagoshima at the same time. So that left us with 3 All-stars for this event. Glad to see Akiyama flying clear across the country (he lives way up north in Hokkaidō 北海道.. and the northern end to boot) and Takeda who lives in Gifu 岐阜県who's been notably absent from Sasuke of late. 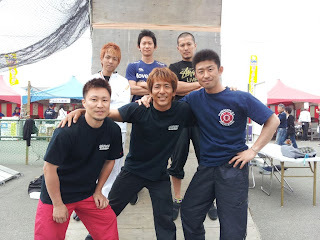 I hope with the news of Sasuke 28 taping this summer that we see the return of the All-stars that have been missing of late. 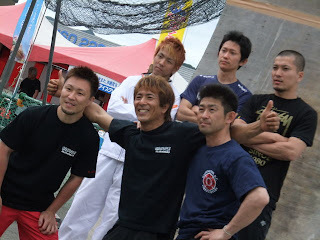 Btw.. remember that photo of Nagano with a Firefighter Mike from DC? 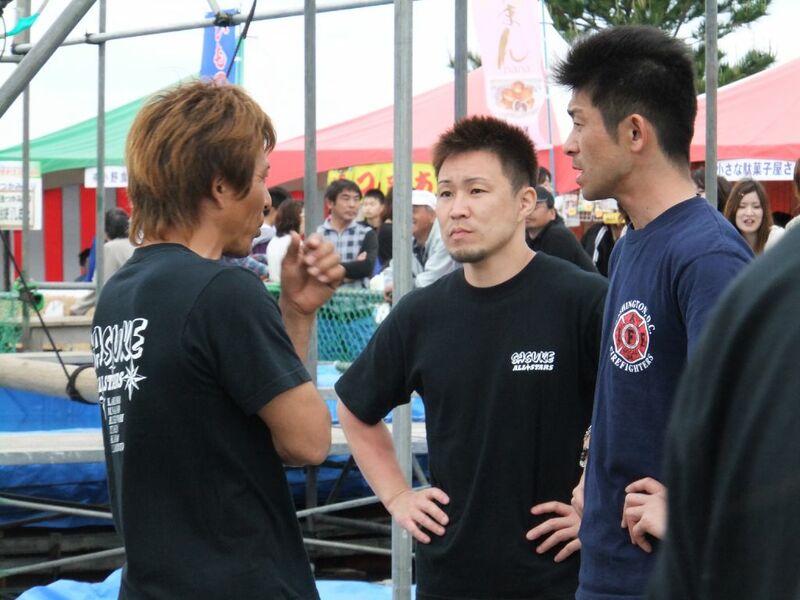 Hey Mike.. he held his end of the bargain and gave Takeda the shirt you asked to be given to him! Cool of him to be supporting the Washington D.C. Firefighters! There are days I love twitter.. LOL.. anyway I got word a while back that these guys were also flying out (from the Kantō 関東地方 region) and so I was stalking Twitter for reports. Kawaguchi (who's is an STQ'er (Sasuke Trial Qualifier).. in fact.. all 3 of them are STQ'ers when you get down to it) posted this photo when they arrived in Kagoshima. It's just amazing seeing these guys as I've been posting about them for over 4 years now.. If you don't know who Ryo is then you don't read my blog or watch Sasuke.. and even more so with Yuuji dammit.. If you can't recognize who he is then you are not a fan! (and living under a rock..) Anyway STQ/UNCLI love all around! P.S. 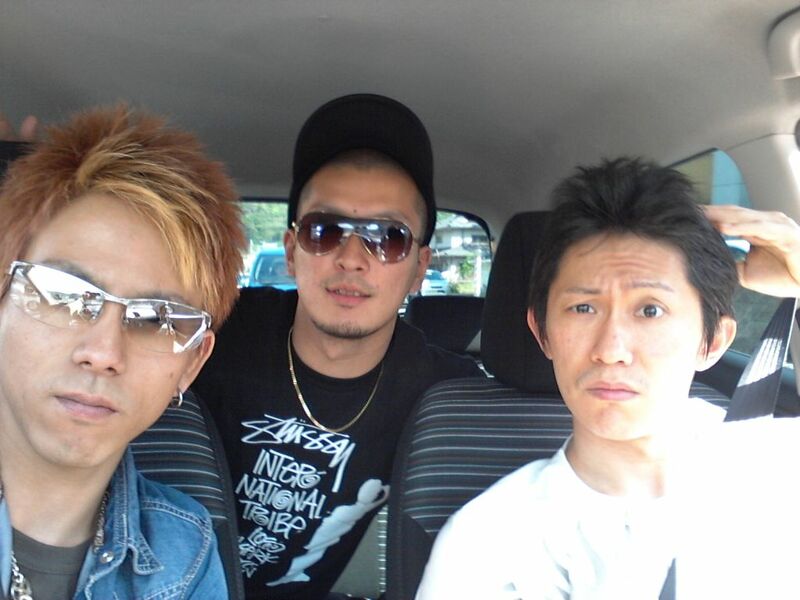 I love how Yuuji doesn't give a damn to pose for a pic.. ahahahahhaha He never disappoints in the wtf pic of the day category of the blog. I love this photo. 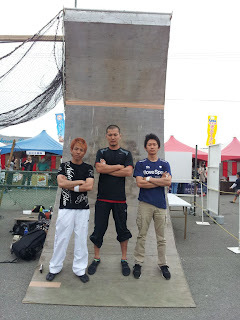 It was nice to see Yuuji recognized along with the 2 other champions in the same stage starring in this event. After the disappointment of not being invited to fly out to ANW4 as a guest despite publicly asking to go (only Nagano was asked) it's nice to see him front and center in the event where he originally came as a spectator. 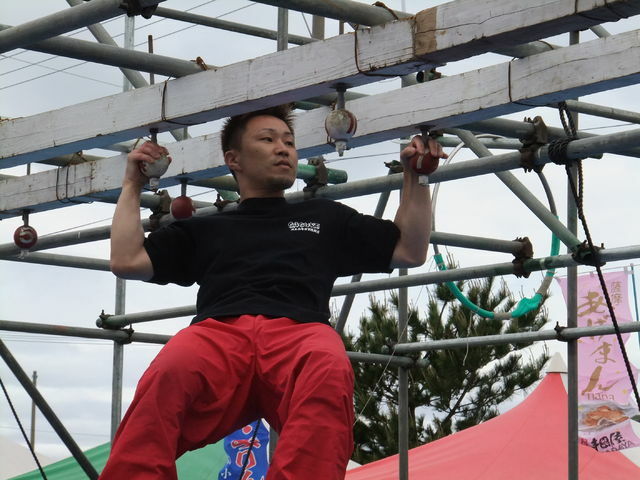 We know this has always been an All-Star heavy event but we've also known that Nagano has always recognized and brought forth the Sasuke competitors in the past to share the limelight. I'm happy to see the tradition still continues. So back to the awesome pics of the All-Stars that would be there. This of course is Akiyama. Hmm.. seems that Nagano redesigned the course again. I haven't seen the Lamp Grasper ランプグラスパー in a little bit. 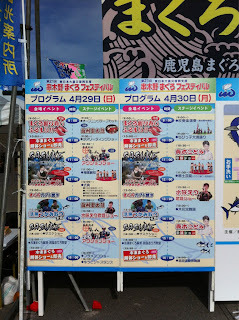 And yes before you ask, Nagano designs this course every single year. This is a sight for sore eyes. We've missed Takeda in the last 2 Sasuke tournaments. And.. we don't know if we will ever see him again as a competitor.. so I was elated to see he flew down here again wearing his All-Star T'shirt along with the other All-Stars. I'm thrilled he's been promoted to a coveted job as a helicopter rescue squad (a very small team where you are handpicked after years of testing, certifications and commendations) but that also the risk he takes when getting on a gameshow hampers it. 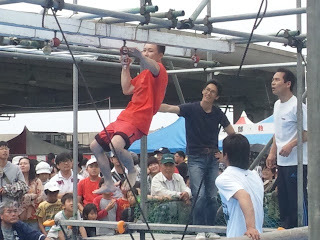 The price may be too high to see him again competing. I'm happy at least he still goes as a spectator, although he may not risk getting hurt ever again as a competitor. We know he's been hurt badly before (breaking his shoulder in Sasuke) so I can understand his trepidation in competing and respect he has for his team in not taking unnecessary risks. I know speaking selfishly as a fan I'm still hoping he does come back to Sasuke. That said, I know why and respect why he probably never will. 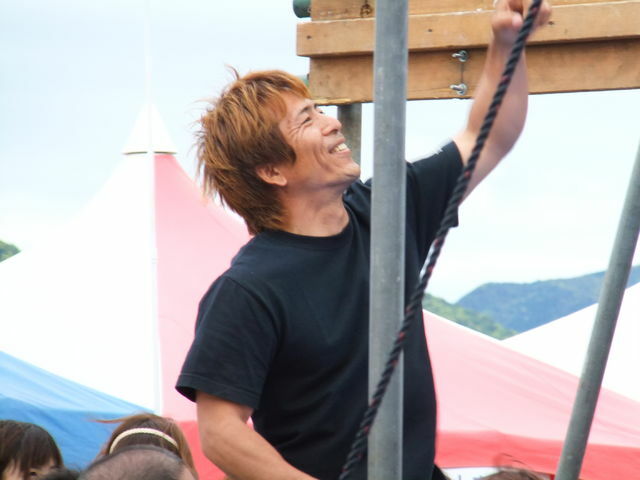 This has been a long year personally for Nagano and it's nice to see him smiling in this event. From all reports he did take the following day off to observe one year anniversary of the death of his father. This was posted on twitter. 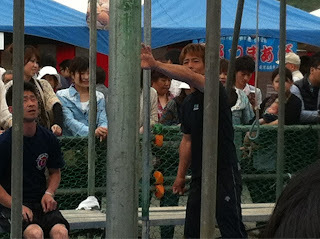 I also got a peak at Keita Tomino 富野恵太 (far left) who's (Cliffer #4). I don't believe all 5 of UNCLI were there. 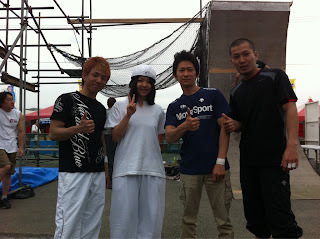 Just a I posted this blog Kawaguchi sent a couple more photos! I edited them in as soon as I could. Thanks Tomohiro! 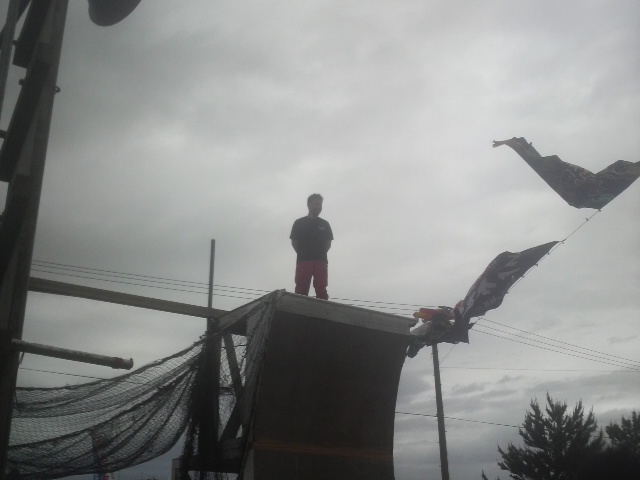 This picture actually was taken during Day 2 (as you can tell from the weather). Seems the gorgeous weather from the day before was offset by the downpours that occurred during day 2. 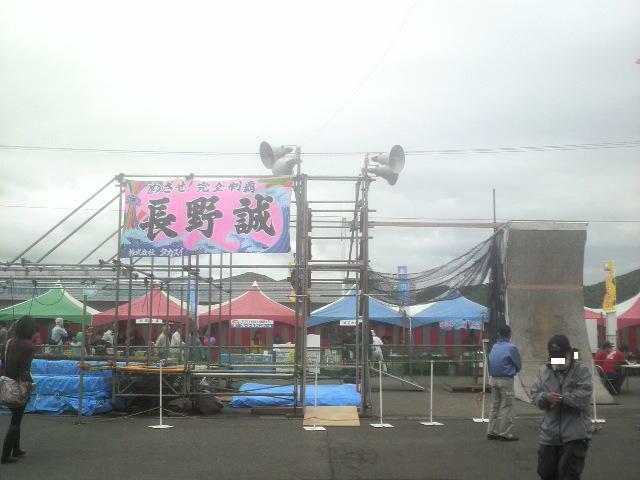 Even so, you can see part of the course along with the huge Nagano sign that is brought to Sasuke every year. Okay.. for the uber KAWAII pic of all time.. this is who we think it is.. this is his baby boy Kaiou 塊王 (who will be 3 years old in June!) If this picture of Kaiou hanging on to the Cliffhanger ledge without any assistance isn't proof of Sasuke genes being hereditary.. LOL Nothing will! 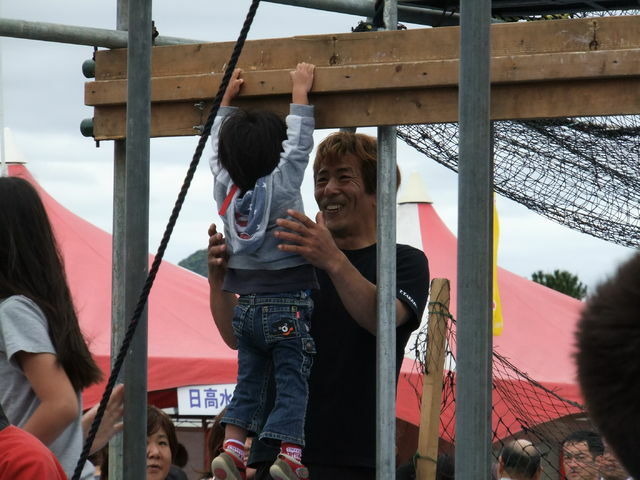 I'm not sure if I should be disturbed by the fact that I can identify his son .. even without looking at his face.. Btw.. for my husband.. this is "Chibi Nagano".. ahahahhahaha I love this picture not just because of to the feat that his son can do.. but mostly because of Nagano's face of disbelief that is son is strong enough to hang on unassisted! Nagano's reaction is just priceless! He's already better than a lot of past Sasuke competitors! and the baby is only 2 years old!!! This is a great pic.. just look at Takeda's reaction.. and of course take a look at his hands cranking up his pants above his knees to get them safe from the pool of water his dipping his feet in. LOL the 4 guys are trying to make this a serious picture and Nagano and Akiyama are cheesing! 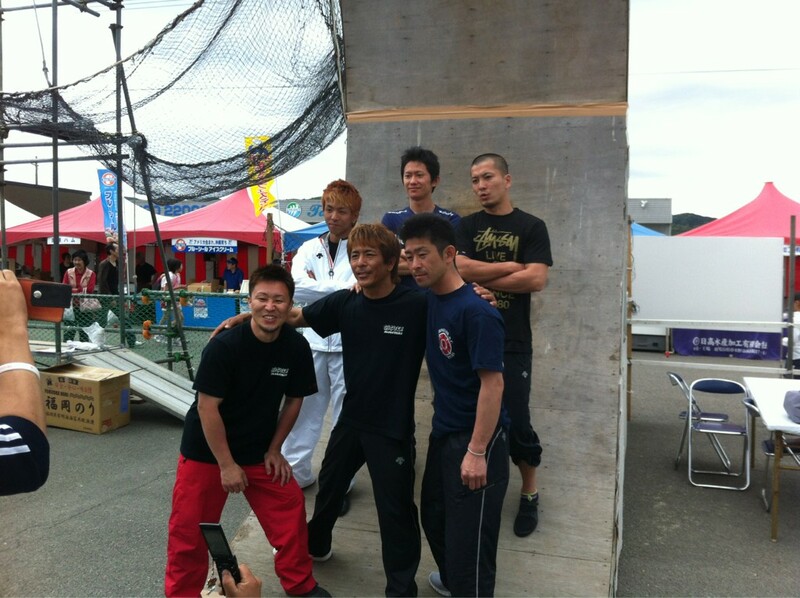 LOL Although Shingo wasn't there it seems his pension for messing up a photo has rubbed off on them! 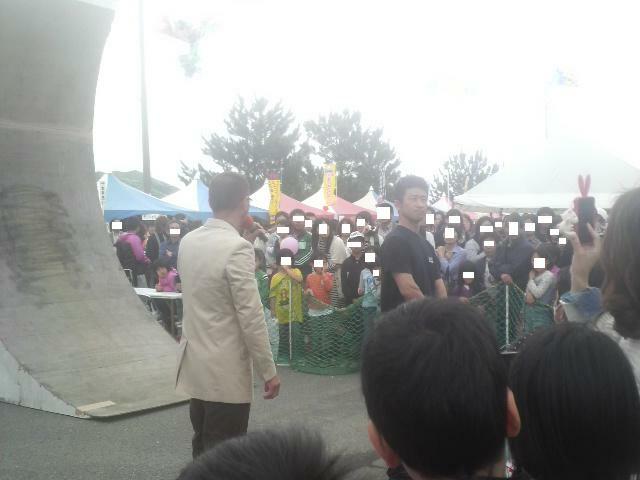 Seems another person was there to try to take pics. LOL Looks like each of them are posing for a different camera! Here's the 2nd of the new pics I added after I posted blog. By far the best of the pictures with all 6 Sasuke competitors! Thanks Tomohiro for a wonderful photo! 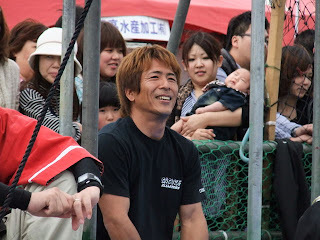 This was taken by another blog person who does an entry for the Maguro Festival each year. Ube found this one for me. This is minerallabo's blog. 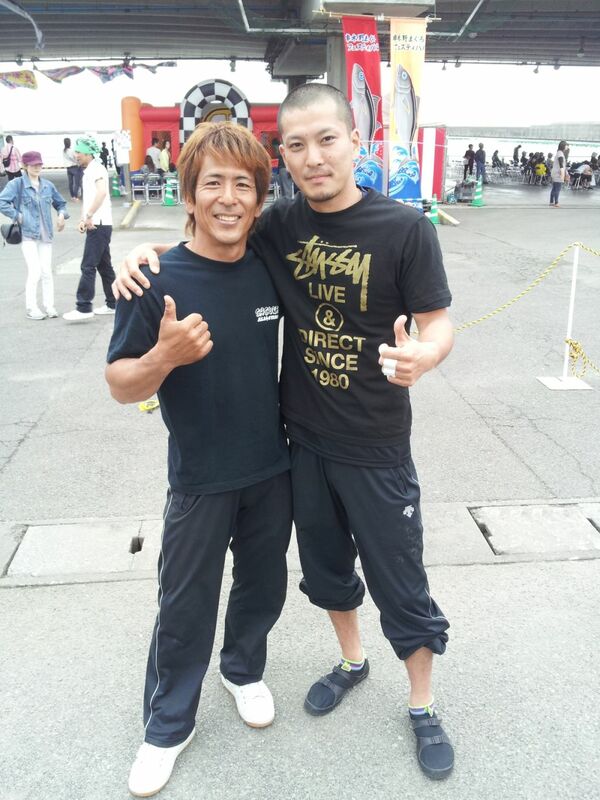 Seems Nagano did take the day off and only Takeda and Akiyama were there for the demonstrations. Same thing happened last year when Nagano had to leave after his father died during the first day of the Maguro Festival and he had to go home. Thanks to everyone involved for providing photos. They seem to get better every year! If I get more I'll add another blog entry. No word yet on videos though I'm told there will be some soon! 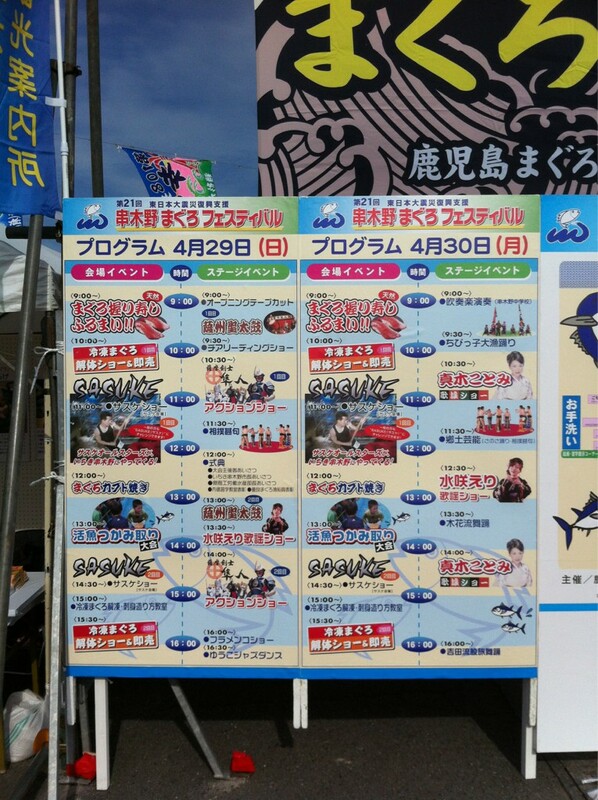 In the meantime the next thing on the event is Nagano's ship dedication and official launch (that's on May 7). Followed by Sasuke Malaysia (end of May), Sasuke Singapore (End of June) and Sasuke 28 in Japan (sometime summer). 2012 is already better than 2011! Awesome blog, Elsie! 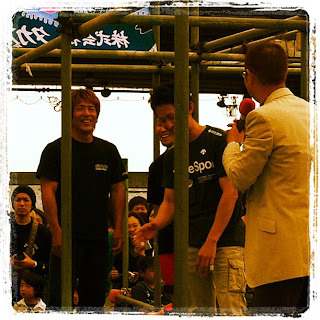 I'm so glad to see Akiyama and Takeda. 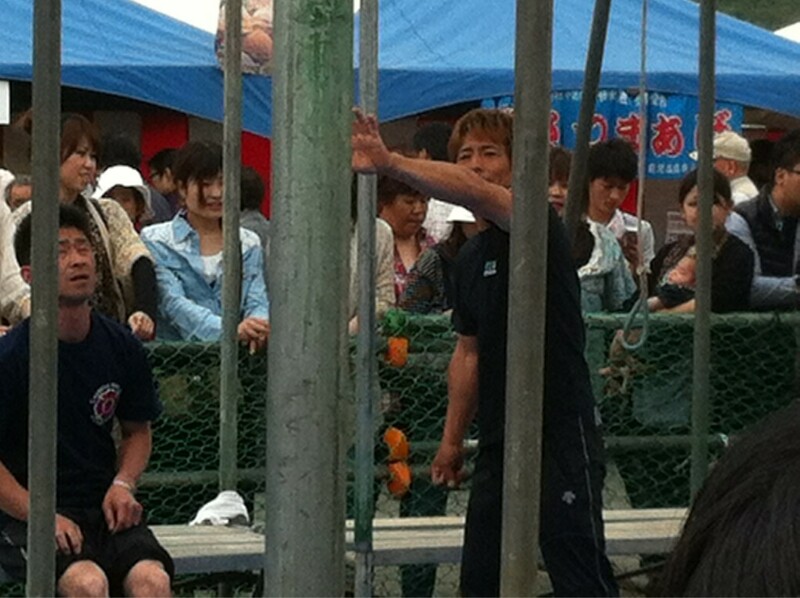 I was disappointed that Shingo didn't get to go. Btw, I don't think it was food poisoning that made Shingo sick. He had some kind of reaction to garlic. I don't think it was food poisoning, though. He just said that he's sensitive to it, and apparently had too much of it. But I guess he had to take the next day off work (it was nighttime for him when he posted about that) and that meant he couldn't take off to go to the Maguro Festival. Sorry, I forgot I'm still having difficulty posting my name with the account (on that long March 12comment, for example. Appreciate the udpates, good to see all of the champions together. I think Yuuji's not looking or sounding as "attractive" in job, size, stature, and voice probably scared the US people from bringin him over--compared to Makoto, and I like both of them. Did NBC just boggard Rider's majhost library!!?!??!?!?!?! LMFAO... Look at "Take a look at the Rolling Escargot here".. and see if that's Rider's..